This course covers the operation and maintenance of pumps used in water supply and treatment facilities. It also covers the motors, engines, and accessories (together called pump drivers) that provide the mechanical source of energy to pumps. Learn how to maintain pump packings. This course is intended for mechanical, civil and electrical engineers and other infrastructure design and construction professionals who want to learn about the operation and maintenance of water system pumps and drivers. 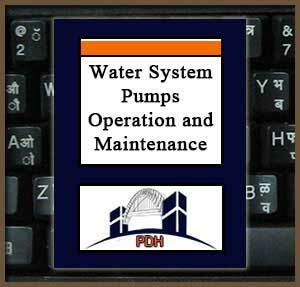 This course will introduce you to basic considerations in operation and maintenance of water system pumps. Upon completion of this course you will have an understanding of the basic considerations you need to know to operate and maintain water system pumps.